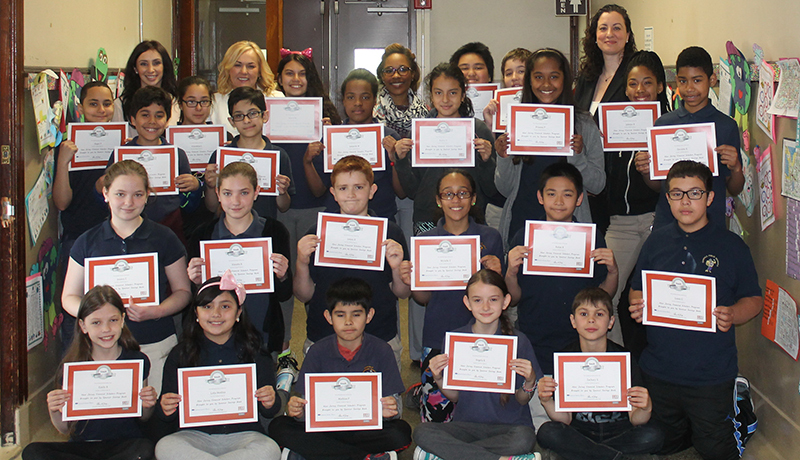 More than 300 Garfield, N.J. fifth graders earned EverFi, Inc. financial literacy certificates from Spencer Savings Bank as part of an ongoing initiative to teach local students the basics of banking and money management. The bank visited six schools on May 9th and 10th to give each student that successfully completed the program certificates. Prior, the students enjoyed showcasing their knowledge and enthusiasm in a game of Jeopardy. Spencer Savings Bank began its partnership with EverFi in 2013 to bring the leading technology education company’s interactive, web-based financial management program to New Jersey schools at no cost to the schools or taxpayers. Delivered through a personalized tracking platform, the program is engaging and interactive, with real-world application and proven results.